I prefer most of my soups smooth, but I think cabbage soup is tastier when left chunky. Adding in a tin of chopped tomatoes bulks out the soup, as well as adding in some extra flavour to complement the cabbage. You can use any cabbage that is locally available, I tend to use a Savoy cabbage if I can. I use a whole cabbage (mine weighed around 500g) – I removed the leaves and shredded them up small. You can add as many, or as few additional ingredients as you wish. As this is a chunky soup it is important to make sure the stock has plenty of flavour so that the liquid part doesn’t taste watery. I like to use stock pots rather than the cubes as they are more flavoursome. If you have some of your own stock reserved from another meal then even better! But stock pots are a great option. My favourite brand is Knorr, and it pays to keep an eye out when they are on offer in the supermarket. I also used a tin of chopped tomatoes, a chopped onion, 2 cloves of crushed garlic, 1 sliced green pepper (you can use any colour pepper you have) and 1 tsp of dried mixed herbs. All the ingredients just go in the soup maker together. 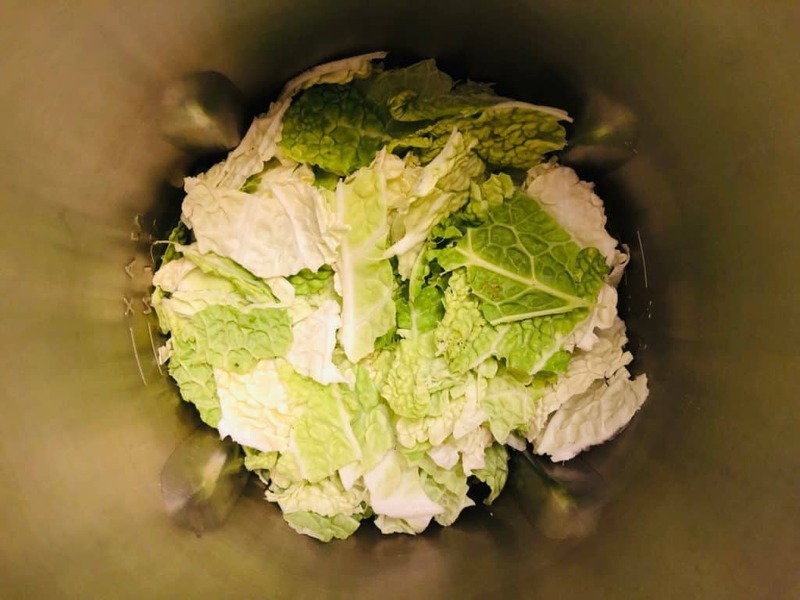 The shredded cabbage might not look like it’s going to all fit in, but it does – just squash it down and then pour the stock over the top of them and then give everything a good stir. Set off on chunky. Is This Suitable For The Cabbage Soup Diet? 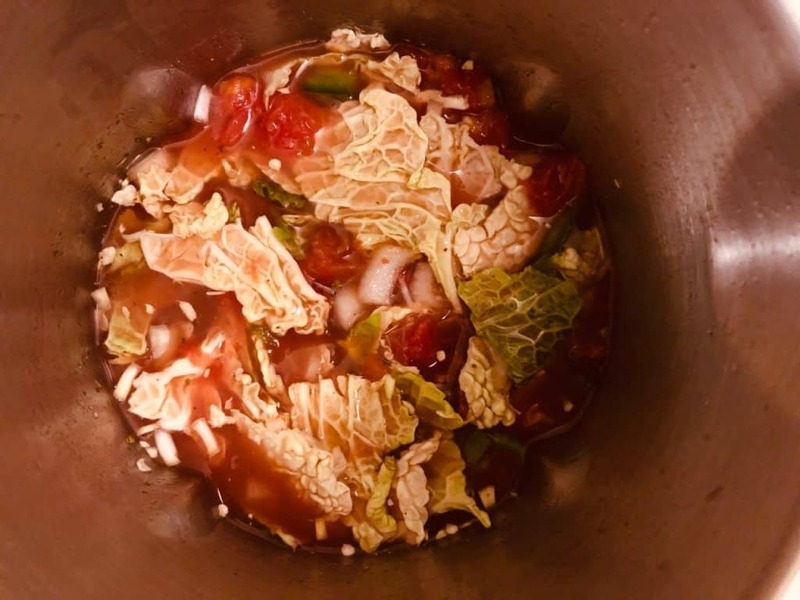 Cabbage soup likely conjures up thoughts of the once popular cabbage soup diet. Is it still popular? Maybe it is. 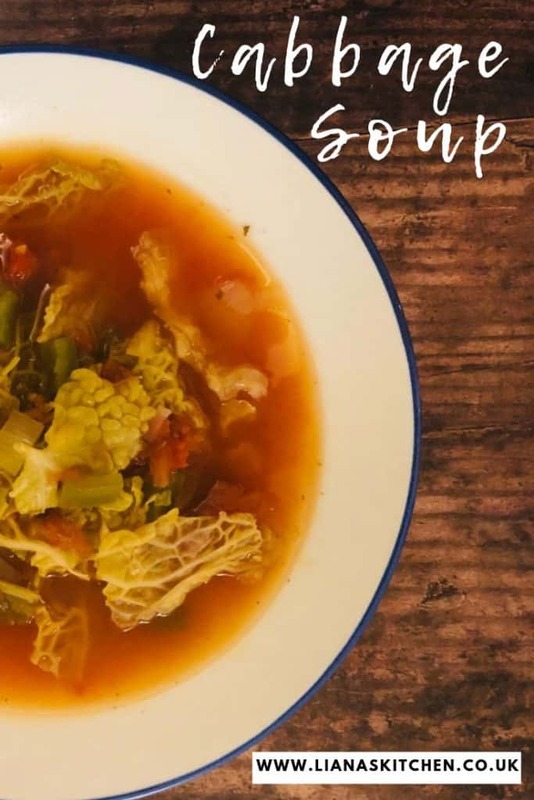 I thought I can’t include a cabbage soup without at least mentioning the cabbage soup diet! 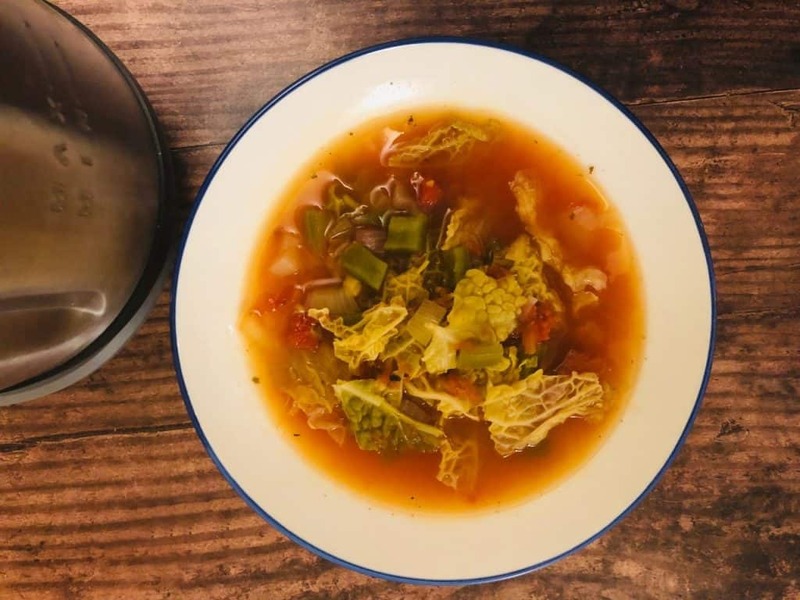 Although this soup is indeed very low in calories (less than calories per serving), I haven’t ever tried the cabbage soup diet, so couldn’t comment on whether it works or not. I imagine I would be rather hungry on it. The weight loss is more because you are severely restricting your calorie intake rather than because of the soup itself. 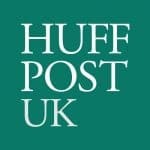 Personally I have had great success with both weight loss and improved health by incorporating homemade soup into my daily diet. 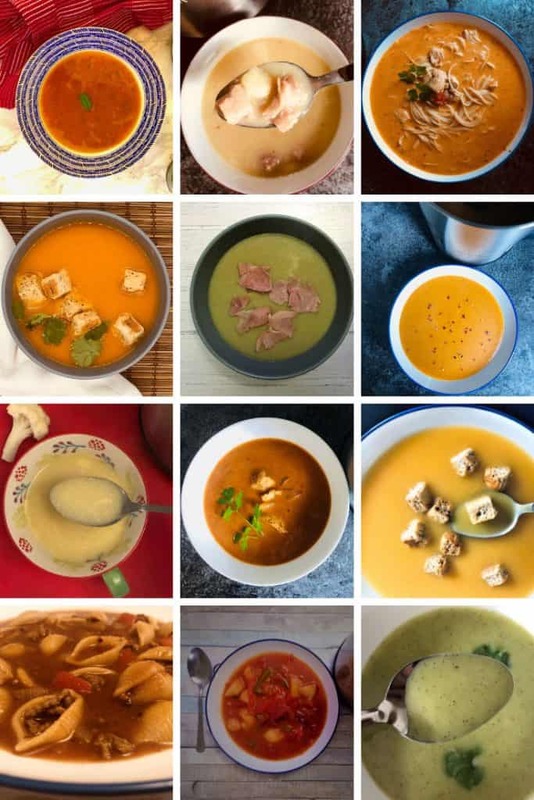 If you want to grab the recipes for any of these soups you can find them here. Low calorie soup is also really useful for an afternoon snack if you are feeling hungry, not to mention all those extra vegetables you are consuming! I know some people in my Soup Maker Recipes Facebook Group use soup as part of their Slimming World or Weight Watchers plan. Soup is definitely a fantastic meal/snack to add into any healthy eating regime, whether it’s for weight loss, or other health reasons. Have you used soup to change your diet? I’d love to hear from you if you have – either leave me a comment below or drop me an email. 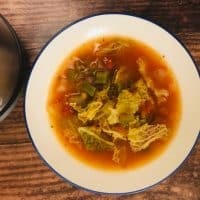 A quick and easy cabbage soup that is full of flavour. Remove the leaves from the cabbage and shred them up. Add all the ingredients to the soup maker, making sure you are below the MAX line. The cabbage leaves will squash down once the stock has been poured on top. Give the ingredients a good stir to make sure everything is mixed together. Set the soup maker off on the chunky setting. Season with salt and pepper if required. I like to use stock pots where possible, but I especially like to use them for chunky soups. My favourite brand at the moment is Knorr for flavour.